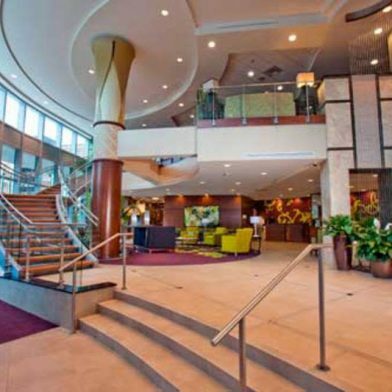 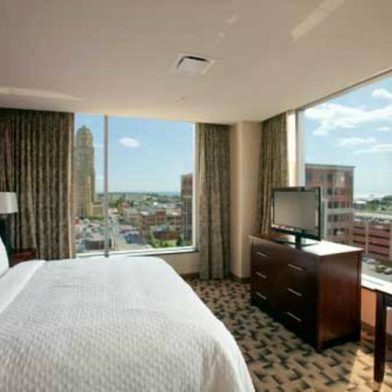 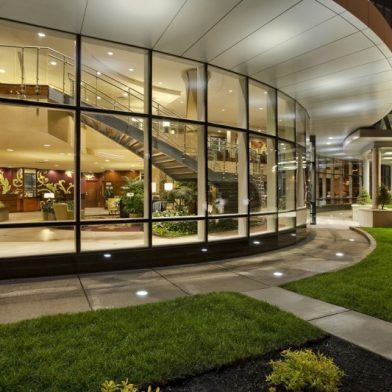 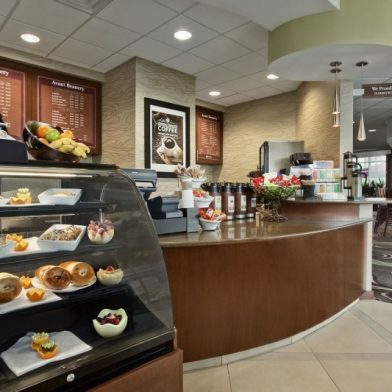 Embassy Suites Buffalo is a new contemporary hotel located in downtown Buffalo in the Avant. 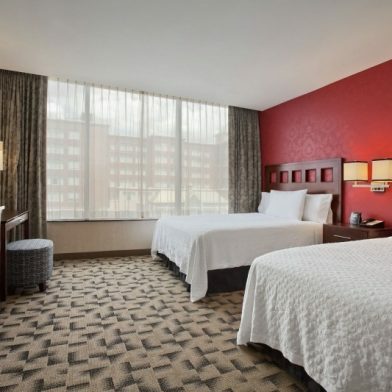 The Hotel is easily accessible to business and government offices, the Theater and Entertainment Districts, and many restaurants. 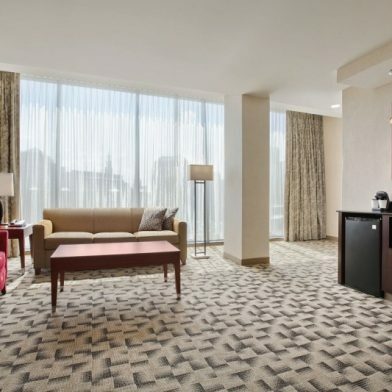 Each of the 182 two-room suites have dramatic glass wall views, designer furniture, finishes and wall coverings, two 32″ LCD televisions, and a wet bar with microwave, mini refrigerator, and coffeemaker. 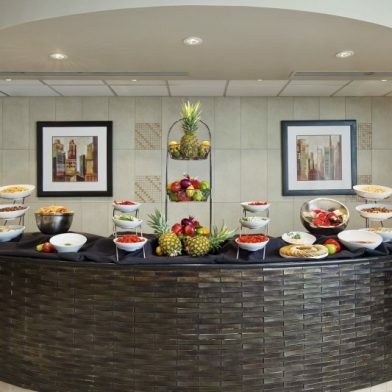 Included in the daily room rate are a complimentary full cooked-to-order breakfast and a complimentary two-hour Evening Reception.